The time has come for folks to don their elastic waistband clothing. I know this because I’ve been working ’round the clock for several days stirring, mixing, cooking, caramelizing, tempering, dipping, rolling, slicing, and baking goodies for distribution. I completed phase 1 of my cookie schedule on Friday morning. I’ve been working phase 2 all weekend (with some time taken out for Kaweah’s birthday celebration). 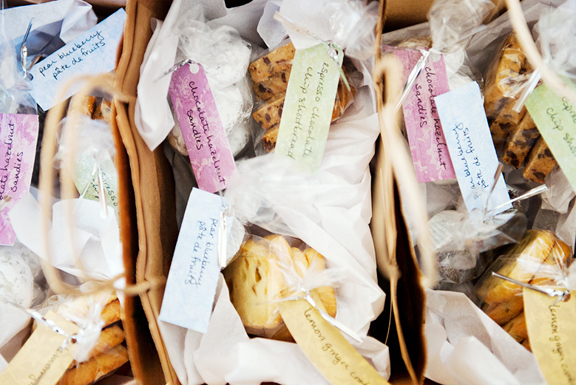 But full on debauchery should not be limited to desserts and sweet bites this time of year. I am a card-carrying member of the savory clan – those of us who opt for potato chips over chocolate chip cookies any day. Appetizers and salty snacks forevah!! 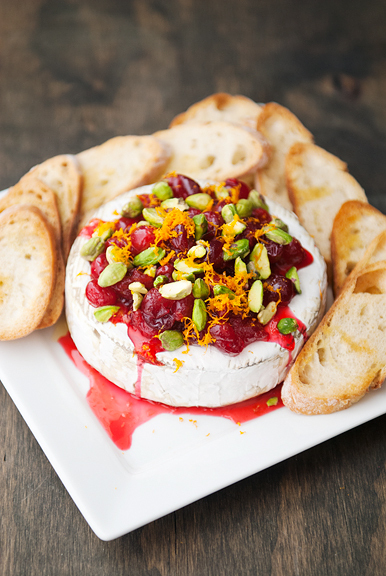 When I last had my parents over for dinner, I tried a baked brie appetizer with cranberries and pistachios that was a sort of compromise between salty and sweet. It’s the perfect thing for holiday parties because it’s quick, easy, and the results are lovely. The first rule of baked brie is to get a whole wheel. If you purchase a wedge, all of the contents of your wedge of nice brie will ooze out and onto the baking sheet when you bake the cheese. That’s no way to party. If it’s a big gathering, get a large wheel or multiple small wheels. If it’s a more intimate group, one of the smaller rounds should suffice. 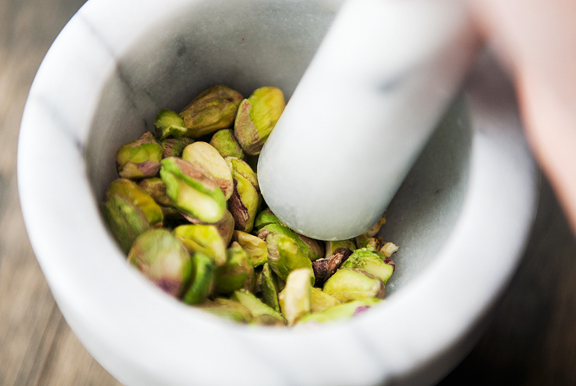 Try to use raw shelled pistachios if you can. They are sweeter and have a gorgeous green color that contrasts beautifully with the deep jewel red cranberries. You can leave them whole or give them a quick smash or chop – your preference. 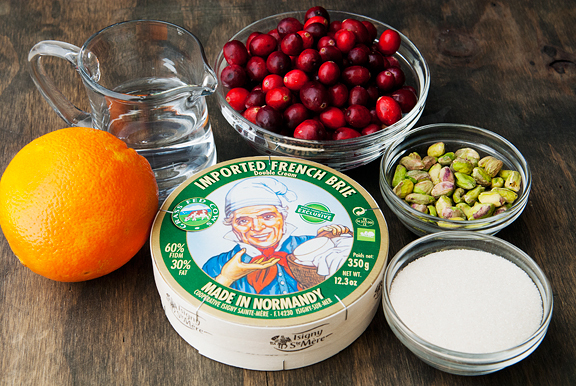 Prep the cranberry sauce and the pistachios ahead of time to minimize the time between taking the cheese out of the oven and serving it. A little extra touch I added (not pictured) was to drizzle a some Grand Marnier over the toppings. It’s totally optional, but I ask you… how can you go wrong with booze and cheese? I’m not even a cheese fan, but I loved this combination of flavors and textures. Creamy, rich, and salty cheese. 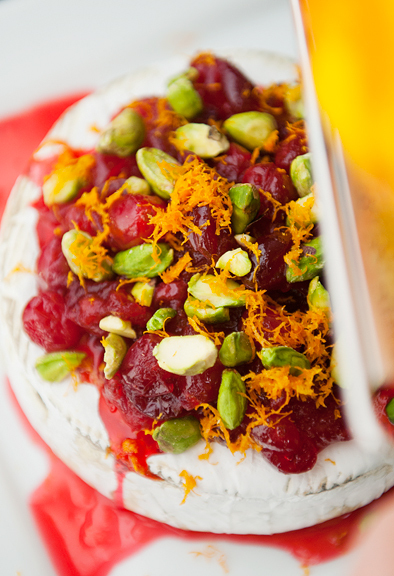 Tart and slightly sweet cranberries. Nutty, earthy, crunchy pistachios. All of it gets tied together with bright floral notes from the orange zest. Be sure to enjoy it in all its warm, oozy goodness. 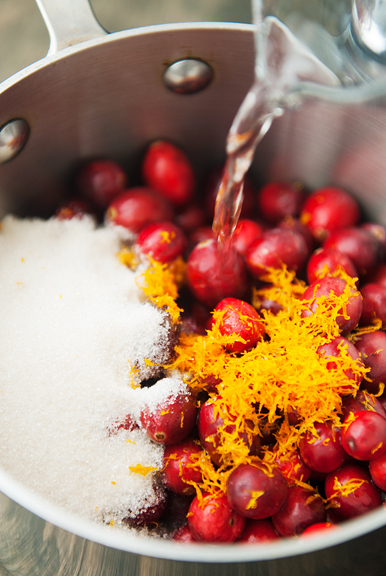 Make the cranberry sauce: Place the cranberries, sugar, water, and orange zest in a small saucepan over high heat. Stir to dissolve the sugar. Bring the mixture to a boil and reduce to a simmer for 10 minutes. Remove from heat. 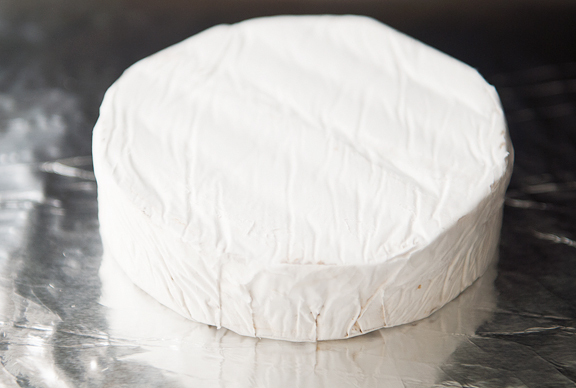 Prepare the brie: Place the whole wheel of brie on a parchment-lined or foil-lined baking sheet. Bake for 10 minutes. Remove the brie from the oven and gently set on a serving plate (if you manhandle the cheese too much, it might bust a leak). Top with cranberry sauce. Sprinkle pistachios on top. 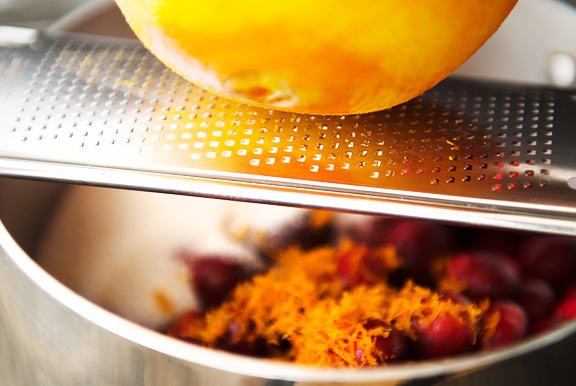 Finish with orange zest. If you are feeling frisky, drizzle a little Grand Marnier over it. 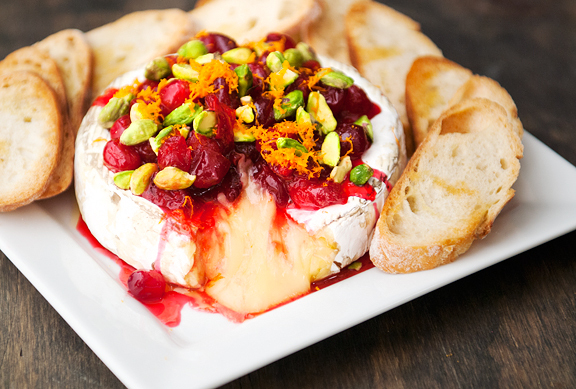 Serve immediately (it is not so great when cold) with crackers, sliced baguette, or crostini. Serves 4-8 as an appetizer (depending on how hungry and cheesy people are). This looks wonderful. 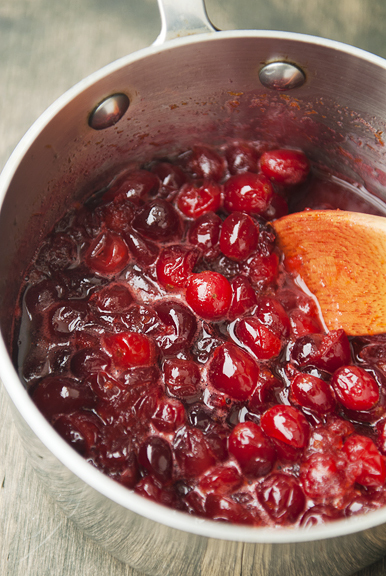 Since it looks like making cranberry sauce and putting it on the brie another variety that I think would be wonderful is the Red Pepper Cranberry Relish that the NYT published this year before Thanksgiving. It was an amazing sauce and I imagine this would make it even better. I love holiday eating! Cheers to you! This looks absolutely perfect. Loving this! That sounds – and looks – delicious! Fruit & nuts? 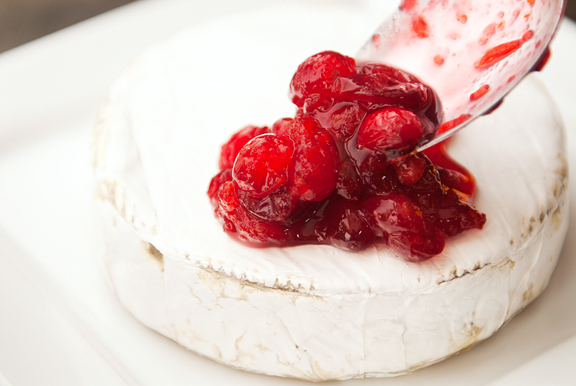 Surely you’ve just made brie healthy! And even more delicious. It looks so tasty, thanks for the great idea! Love the idea of giving homemade spice rubs! A nice change from all the sweets this time of year. I saw your taco seasoning recipe. What other spice rubs to you make for gift giving? I just finished up all my candymaking for the season, it’s all delivered, and I’m happy to share it! Katrina – it’s very popular among my guests! Cindi – it’s really lovely and surprisingly easy to make. Kristin – ha ha ha!! Mommy G – you’re welcome!